As a result of this year’s massive privacy scandal involving Facebook and Cambridge Analytica, technology companies are finally starting to open up about what kind of data they are collecting from us, and how it’s being used. New EU rules are also forcing them to be more transparent. Apple has always taken user privacy seriously — it’s one of the best in the business at this — but even the iPhone-maker is being clearer about the information it has collected from us. 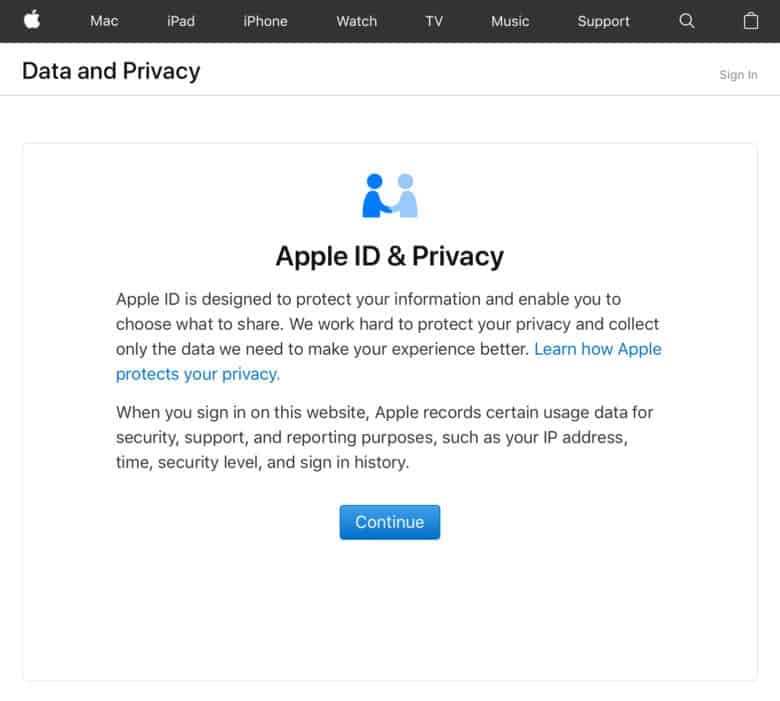 Apple’s new Data and Privacy website is a one-stop shop for users who want to find out what Apple knows about them. It’s main tool, available now in many European countries and rolling out to the rest of the world soon, lets users download a copy of all the data Apple has collected. After choosing which data you would like to download a copy of, Apple processes your request within seven days. “To ensure the security of your data, we use this time to verify that the request was made by you,” the company explains. App usage and activity information is delivered as spreadsheets or files in JSON, CSV, XML, or PDF format, Apple says. Contacts, calendars, bookmarks, and mail are delivered in VCF, ICS, HTML, and EML. Documents, photos, and videos are delivered in their original format. Apple lets you select how big you want your files to be to make them easier to download. It offers 1GB, 2GB, 5GB, 10GB, and 25GB options. Your data will be divided automatically. Apple’s new website also explains how users can correct any incorrect information Apple has. It even allows users to temporarily deactivate their account, which prevents it from being used until it is activated again, or to delete their account altogether. When an account is deleted, Apple removes all of the data associated with it from all of its services. Apple’s new tools are currently available in European countries to comply with the new General Data Protection Regulation (GDPR). However, they will rollout to all territories in the months ahead.